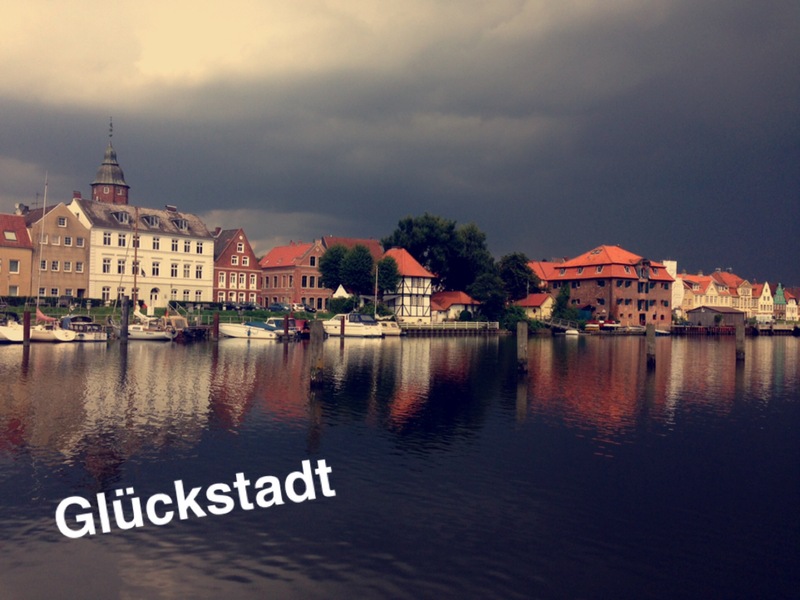 Glückstadt translated in english would be “lucktown” or “town of luck”. I have a very good friend who lives in this town and who, when away from home, loves to gloat a little with the name or at least make people smile. Hence I was very curious when I came to visit this summer. 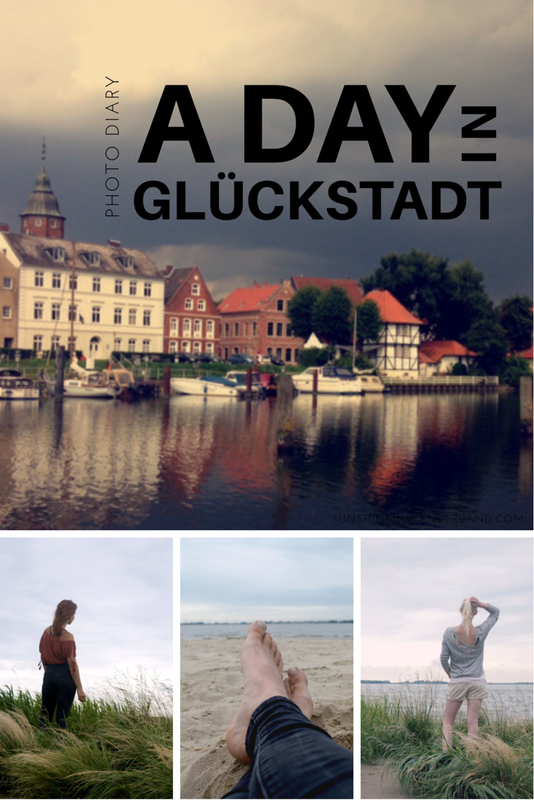 I just spent a night and a day in Glückstadt and I really have to say I was very “glücklich” (=happy) the whole time. The super adorable little brick houses, which are typical for the north of Germany, the long wide fields of cabbage, the smell of clean air. 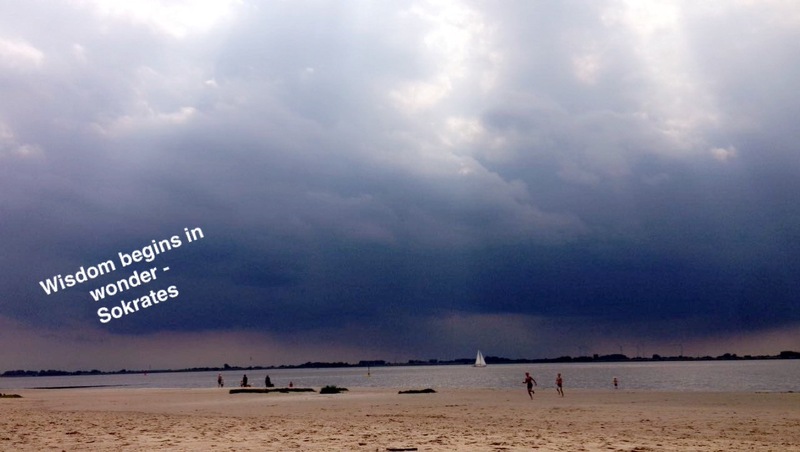 That’s how you can imagine bike rides around the city of Glückstadt. Such lovely memories! The town itself I would rather describe as quiet, historic, zen and picturesque. Each house in the row of houses on the main street look like from a completely different time. Like history itself just decided to show what beautiful times have passed in one line of buildings. Like history’s own museum. 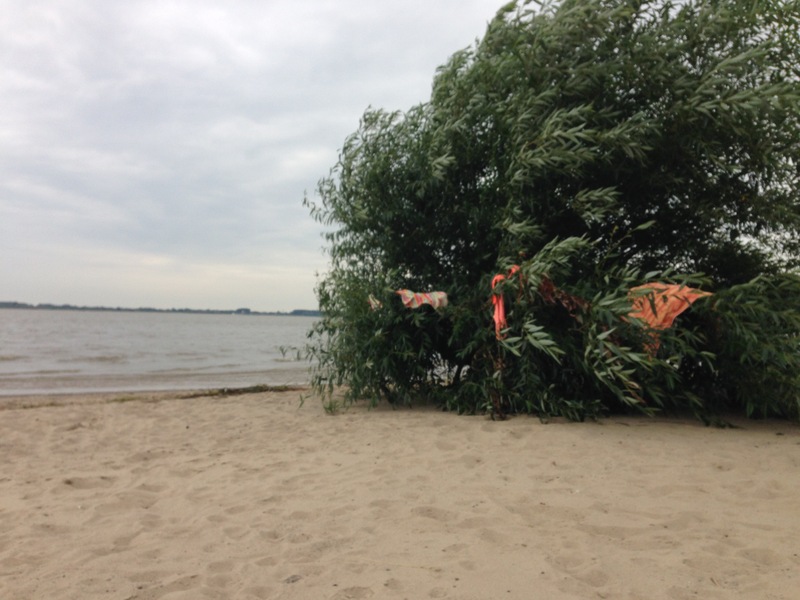 We spent quite some time at the Elbe on that day. There is a cute little compact beach, which separates the dike from the river. We first went for a chilly dip in the water, had delayed brunch watching giant ships pass by (and almost being flooded), then we just lay there watching dogs race each other, reading in one of Freud’s books (the psychoanalyst) my friend had brought with her and later going for a little walk. The whole time we had bets running on when the rain front was going to hit. But the dark clouds just towered bigger and bigger, as if trying to show us their full majestic size, before modestly sprinkling us on the way home riding our bikes alongside herds of sheep. 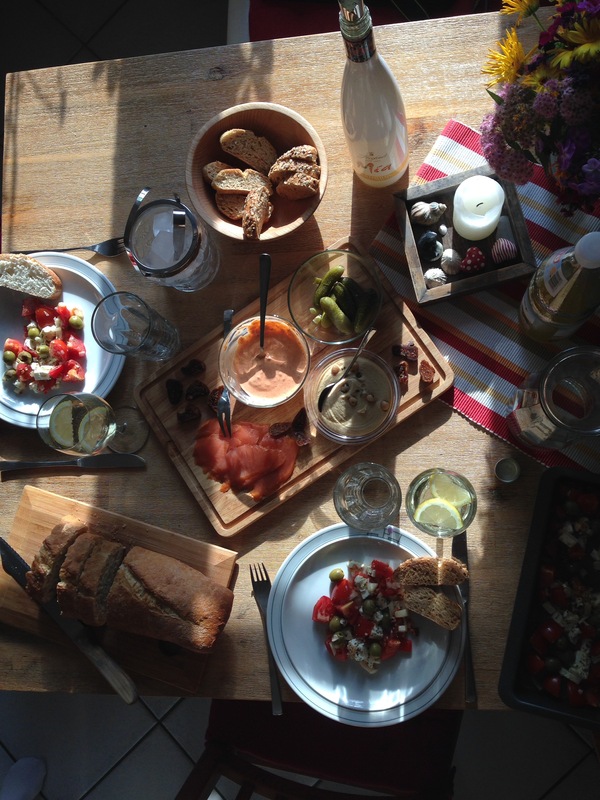 The day had it’s wonderful end at the dinner table to a meal we both prepared and enjoyed together, stuck in deep philosophical and psychological discussions. I’d really missed those. Personally I find that there are really few people with whom you can really go into deep intellectual discussions. My friend in Glückstadt is one of them, which I am lucky to have in my life. Though I don’t see her often, the times with her feel like a long intense time. All in all, I had such a wonderful time. Tranquil, exciting and intellectually stimulating.